SPCleantech participates as the partner of KIC InnoEnergy in this year’s competition KICoff, which will take place on December 1th in Cracows Cricoteka. The jury will consist of representatives of NCBiR, CBI Pro-Academy, Lewiatan Business Angels, SpeedUp Group, EDF Poland, EC Group and SPCleantech. Registration for Final Gala is still open – simply fill out an application form available on the contest website. The path that entrepreneurs must pass to raise capital and start a project does not have to be long and winding. Because not all the doors of investment funds, accelerators and business angels are tightly locked. Certainly doors of KIC InnoEnergy, a European company supporting innovation and education in the field of energy, remain wide open. 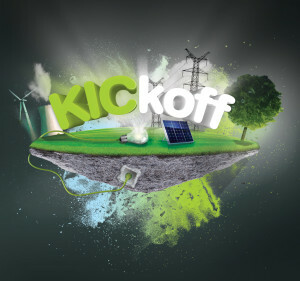 The best example is competition KICkoff, whose aim is to identify promising projects in Central and Eastern Europe dealing with sustainable energy. Until the end of October flowed dozens of applications, which were carefully verified by KIC InnoEnergy, the organizer of the competition. The originators of the most promising projects were invited to the second stage of the competition, during which they will present their innovations in front of the regional jury in one of the four cities of Gdansk, Poznan, Krakow and Warsaw. Then the winners of the semifinals will take part in special workshops that will prepare them to speak at the Final Gala. All the finalists have the chance to participate in the acceleration program KIC InnoEnergy Highway®, which will help new entrepreneurs develop an idea into a viable business. In addition, the main prize in the competition is 10,000 euros in cash. Silver medalist will win prize of 5,000 euros, while the person who will take the third place will win 3,000 euros.